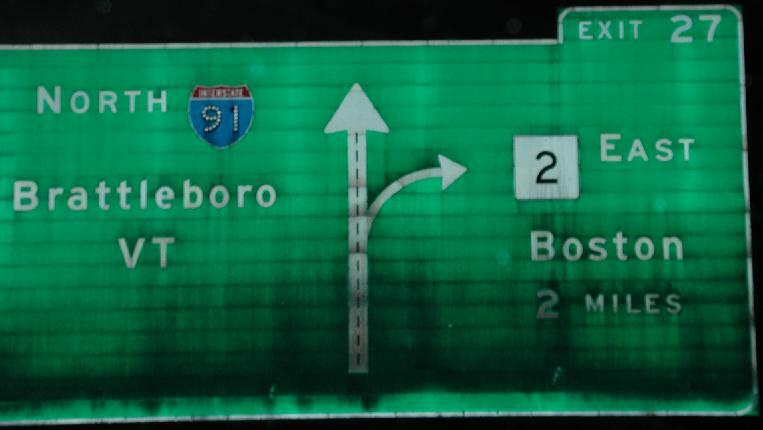 Everything is old here at the cramped US 5/I-91 interchange for the South End Bridge. 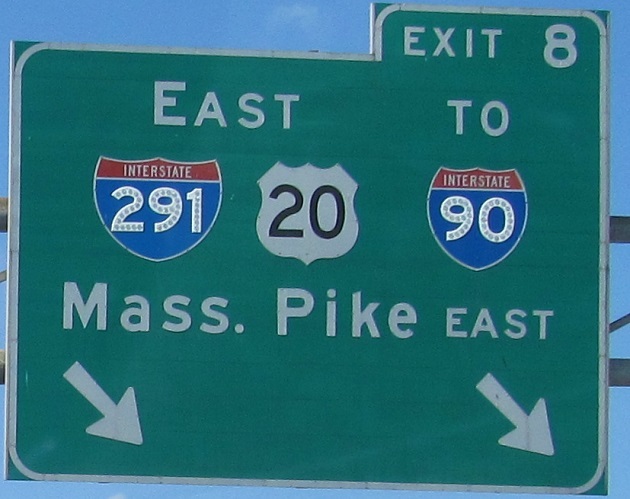 This faces southward; US 5 comes in from the bridge to the west (right) and continues south (straight) alongside I-91 before departing after a quick weave. Needless to say, this section of freeway is very old and very substandard. NB button copy shields, courtesy Doug Kerr, and SB old font shields (cut-corner 2, looping 9). 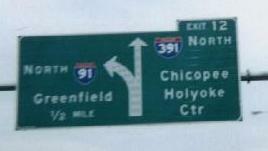 The SB sign is really on the I-391 SB ramp merging into I-91 SB, but there is a duplicate sign on I-91 itself. Another button copy Doug Kerr sign, and a Matt Kleiman sign from the brief MA 2 multiplex near Greenfield. 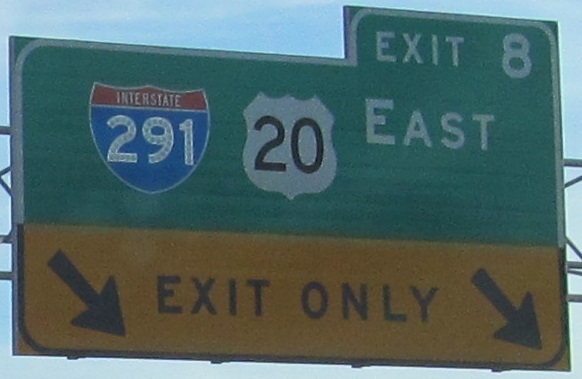 Both are northbound.